Why Get a Dental Checkup ? 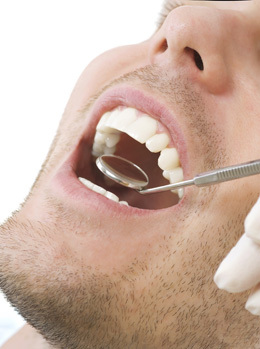 A regular dental checkup is a very important aspect of maintaining good oral health. It also helps with those who are experiencing halitosis or “bad breath” as we try to pinpoint the source of the problem and treat it properly. During routine checkups and maintenance appointments, a thorough oral exam is performed to detect cavities, gingivitis and periodontal disease. An oral cancer screening is provided inside your mouth and around your neck to catch any suspicious findings. A dental cleaning, polish and fluoride, as well as oral hygiene instructions that will be specific to you complete the regular checkup package. In order to maintain your smile and oral health, home maintenance and care is vital and more important than what any San Francisco dentist can do for you. Flossing, brushing with a soft bristle toothbrush at least twice daily, and mouth rinses (preferably with fluoride) are a few simple ways that you can prevent build-up of plaque which harbors bacteria that causes cavities, gum disease, and bad breath. Fluoride is an important component of global health now as it is effective in preventing dental decay by coating the teeth with minerals and making them stronger.